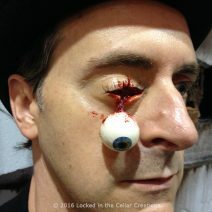 Not just a piece of latex painted like an eye; it has a highly detailed eye insert (with realistic capillaries!) with a glossy finish and an eye lash. 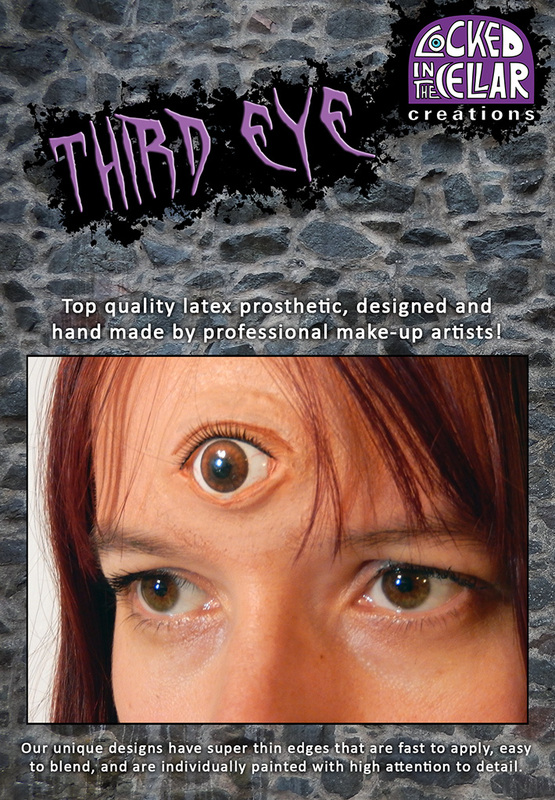 The most realistic Third Eye Prosthetic you will find! 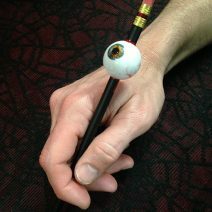 A great addition to your Gypsy Fortune Teller costume or Mutant character. 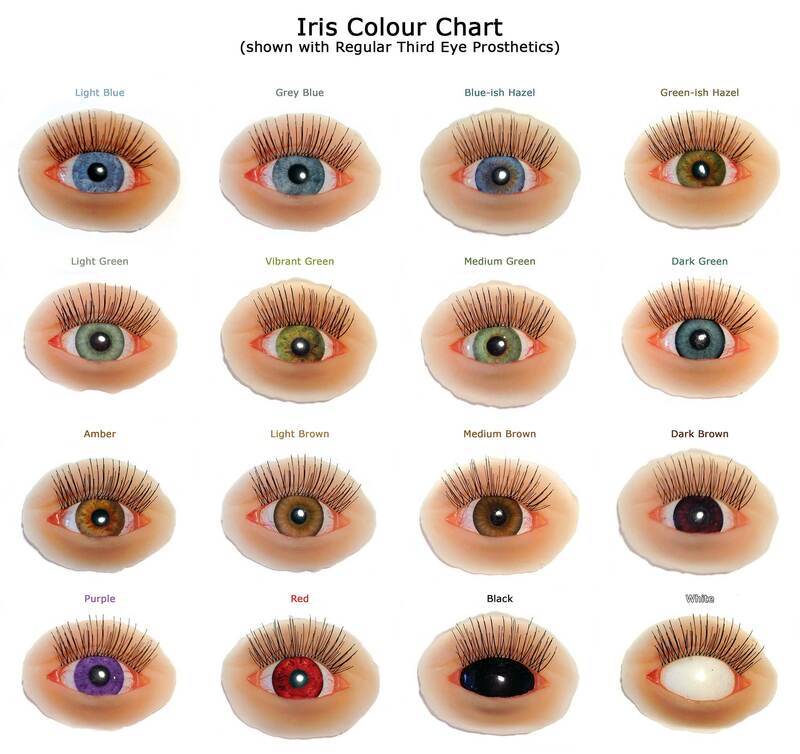 The eye opening is 9mm, which will match your eyes in a normal, relaxed position. Check our other listings for a Wide Open Third Eye Prosthetic, or Vertical Third Eye Prosthetics (Narrow or Wide). 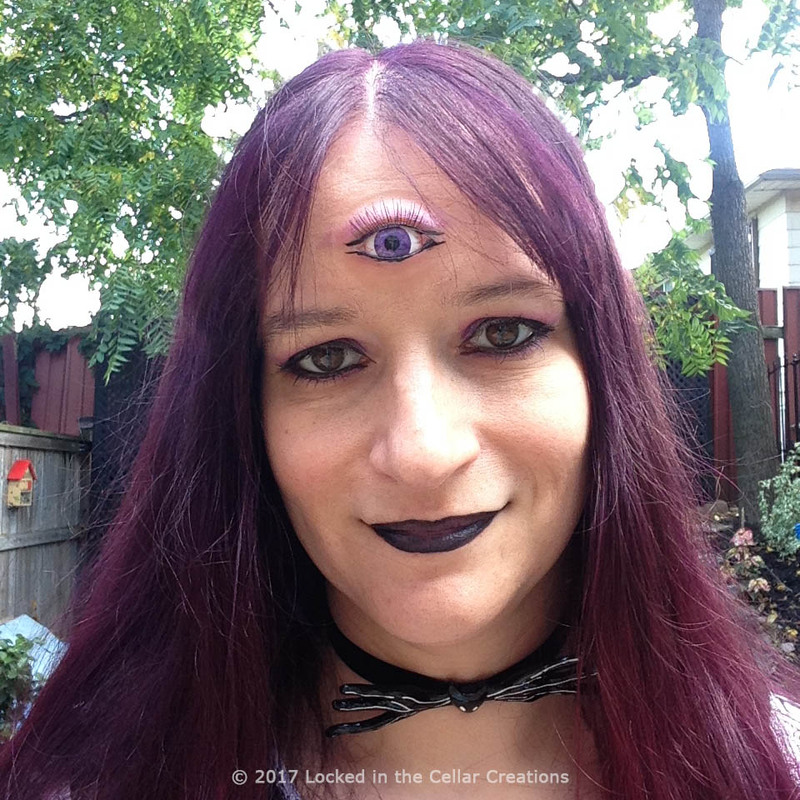 This Third Eye Prosthetic is an original design by Locked in the Cellar Creations. 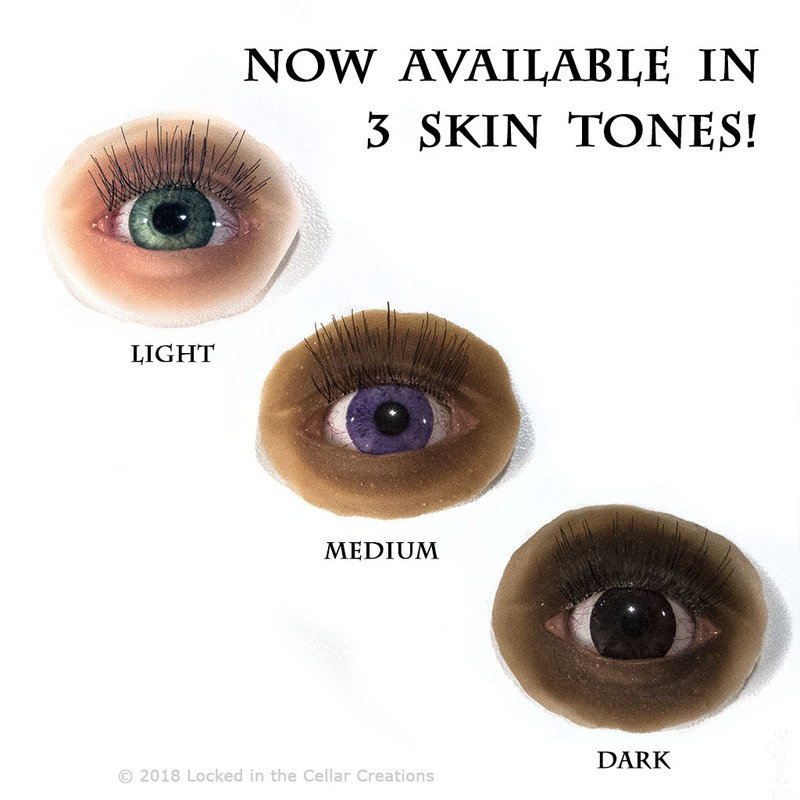 We are not affiliated with Welcome to Night Vale or any other brands that have characters with extra eyes, but we encourage you to use it for all your cosplay ideas! The eyes are very realistically painted: I got 3, and each had an individual pattern. They were a hit – I freaked out not a few people this halloween. 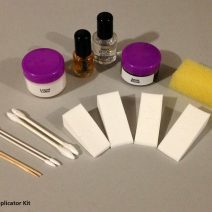 I’d never applied latex prosthetics before, but it was pretty straightforward. This is a great prosthetic, they were able to have it match my contacts exactly and the shipping was super speedy! Thank you! Amazing prosthetic and awesome service. I needed this prosthetic for my Garnet (Steven Universe) cosplay for a convention that was a week away. Desiree responded quickly to my questions and was very friendly. My custom color prosthetic got here fast and looked fantastic! 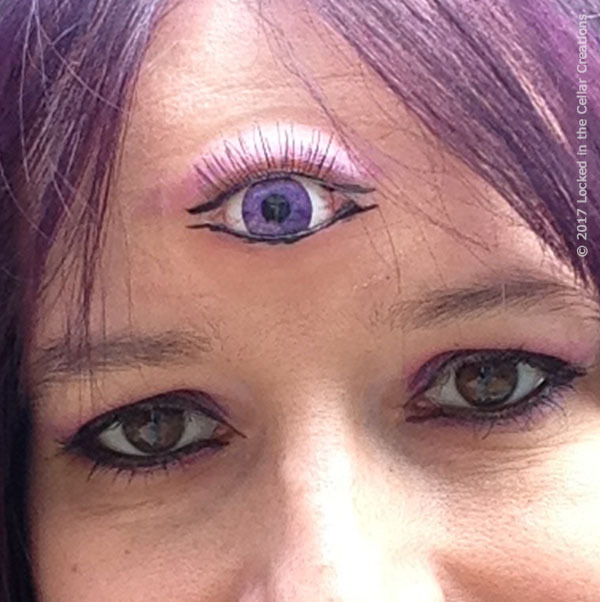 This third eye was very realistic and matched my eye color. It was shipped within the timeframe stated and came with detailed instructions. Great addition to my Halloween costume. Thank you! This prosthetic matched my eye almost identically. It stayed all night with minimal blending or adhesive and was easily removed without skin irritation. Way to go! Awesome product! I used this for a Tom Lucitor cosplay and it was amazing quality! The latex edge was thin enough that even with a coat of paint it blended well with my skin, I would definitely recommend it!